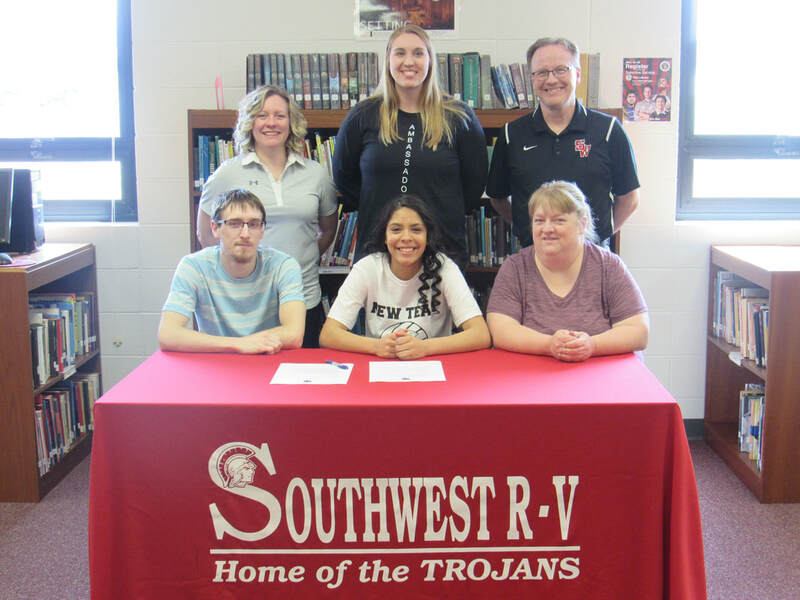 Southwest High school Senior Mariah Munday signed a letter-of-intent to play volleyball at Ozark Christian College in Joplin. Munday, a three-year starter, led the Lady Trojans in kills, digs and serve receptions, and was named all-conference, all-district and made the all-tourney teams at Galena and Southwest. She was also named academic all-state for the last three seasons. Pictured, from left to right, in the front row: Collin Munday, Mariah Munday and Stacie Munday. Back row: Southwest coach Mandy Henry, OCC coach Whitney Bond and Southwest coach Steve Voyak.